M. Clark Spoden is recognized in Tennessee as a Specialist in Civil Trial and Pre-Trial Advocacy as Certified by the National Board of Trial Advocacy. He practices in the Business Litigation and Labor & Employment Law service groups at Burr & Forman LLP. He is an experienced trial lawyer who has defended companies in contract, employment, environmental, construction, business tort, intellectual property, wrongful death, and personal injury cases. He regularly advises clients on HR related issues. Clark has vast experience in representing manufacturing companies, especially in the fields of aluminum recycling and automotive manufacturing. Clark’s career prior to Burr includes serving as chair of Dearborn & Ewing’s (D&E) litigation section in 1989. Also, while at D&E, Clark participated in the trial of Emhart, Inc., v. Duracell International, Inc., a significant environmental case and developed a reputation for excellence in environmental litigation. In 1994, Clark joined the Nashville office of Ogletree, Deakins, Nash, Smoak & Stewart where he was a member from 1994-98. 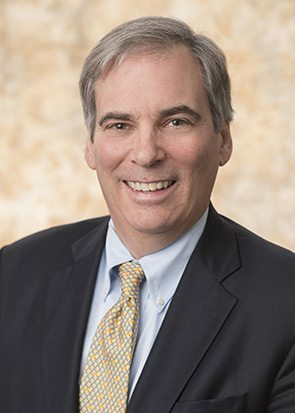 At Ogletree, Clark became involved in Labor & Employment law and tried employment cases such as a multi- plaintiff sexual harassment case in East Tennessee and a labor arbitration case in Chicago. In 1998, Clark helped start the Nashville office of Brown Todd & Heyburn, which became Frost Brown Todd in 2000. Clark served as managing member of the Nashville office for several years. In 2007-2009, Clark led HR Training Camps for HR managers in various cities, including Nashville, Baltimore, and Las Vegas. He regularly provides in-house HR training for clients. The subject matter of the training is customized to fit client needs, and regularly includes anti-harassment and anti-discrimination training among other topics. Clark is an Administrative Law Judge for Nashville Electric Service. He has taught Remedies at the Nashville School of Law since 2003. In 2008, Clark began publishing for his students his own textbook, entitled Remedies Readings. In addition, Clark is a frequent lecturer on trial practice and employment law. When not working, Clark is an avid wilderness explorer. In 2002, he and his son, Cage, took a 286 mile wilderness canoe trip in the Yukon Territory, Canada. In 2008, Clark and his daughter, Anna, climbed Mt. Kilimanjaro. Each summer from 2009 to the present, Clark and his wife, Norah, have traveled to Alaska for wilderness kayaking trips. IndustryWeek: Gay Marriage and Sexual Orientation: What your HR Department Should Know. Nashville Area Chamber of Commerce’s HR Notes: New Employment Laws Addresses Online Privacy and Limit Damages Awarded Under the Human Rights Act.